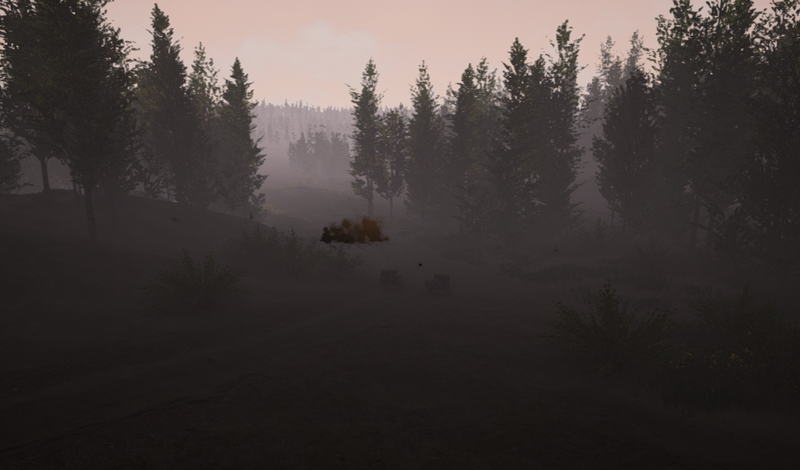 Is there any way to make smoke or dust sprites to blend with the map's fog colour? Makes effects like these to look odd and out of place so I was wondering if there is any way to tweak these effect materials so they would blend with the fog more. In this case my fog is whiteish so the effect should also turn whiteish in order to blend with the map's theme. Any tips and ideas would help lots. I don't have a solution for you, but I am actually trying to find the exact effect you seem to have in your picture. I don't want the fog to blend. Can you tell me how you made that effect? Multiple dynamic parameters for particles?